We have all heard about Transitions® lenses and how they can function to provide ocular health benefits for our patients. We know Transitions lenses help block UV and harmful blue light as well as help provide relief to those patients who suffer from photophobia. (1) This lens technology is not just a valuable tool for your patients, but can be a great resource for the health and growth of your practice. 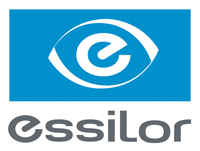 Not only does prescribing Transitions lenses increase the perceived value of the glasses you provide at an in-office eye exam, but by offering superior products and lens technology that are widely recognized by consumers, you can generate increased practice revenue and growth through optical sales and capture rate. Learn more about Transitions lenses, including the science behind them. With new lens options by Transitions Optical, we now have more choices than ever before! With new Transitions Signature lenses style colors and Transitions XTRActive style mirrors, we have additional tools to meet the needs and desires of our patients! 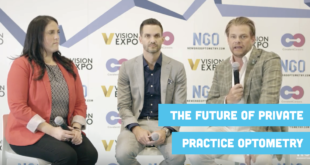 We reached out to several individuals who are already utilizing Transitions lenses in their practices and lives, and asked them to share their experience and how these new options might change the game for their practices! With Transitions Signature lenses style colors featuring four new colors – sapphire, amethyst, amber, and emerald – there is a lot to be excited about! Jennifer Lyerly is an optometrist practicing in Cary, NC with a focus on specialty contact lenses. 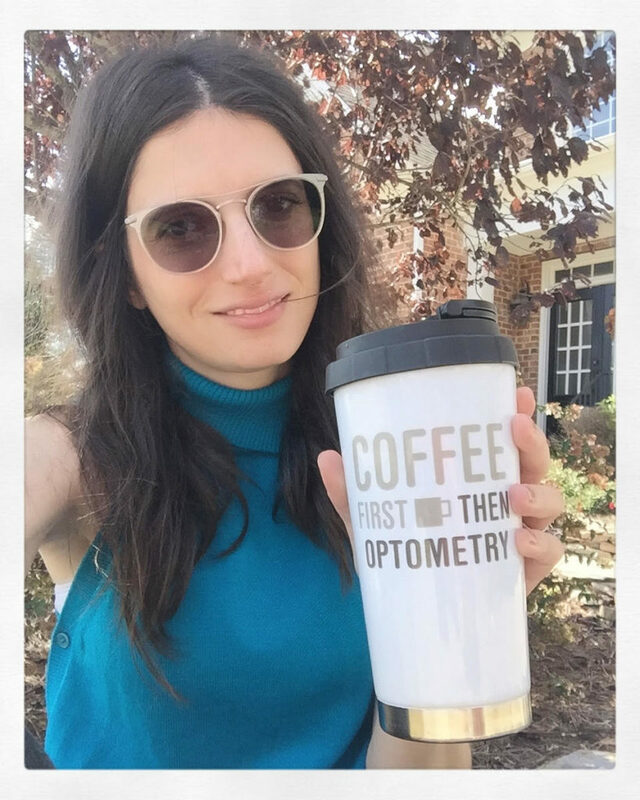 She is the founder of Eyedolatry Blog, an eyecare website with a focus on encouraging women’s leadership within optometry, and was named one of Vision Monday’s Most Influential Women in Optometry in 2015. 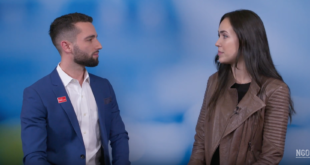 In 2016 she cofounded Defocus Media, a social media management company for private practice ODs, and is the cohost of the popular Defocus Media Podcast. 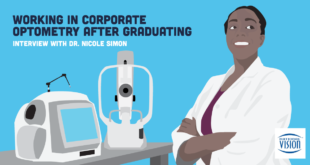 She is a 2011 graduate of the Southern College of Optometry, and in 2017 they honored her as the Young Alumni of the Year. She additionally serves a Transitions Change Agent in collaboration with Transitions Optical. How do you educate your patients on Transitions lenses? Before I started wearing Transitions lenses myself, I always relegated the technology to a very small box: “Do you want your glasses to turn into sunglasses outside?” Now when I hear doctors or opticians talking about Transitions lenses in this way, I have to interrupt. The lens technology is so much more useful to patients’ daily lives than an alternative to sunglasses wear. 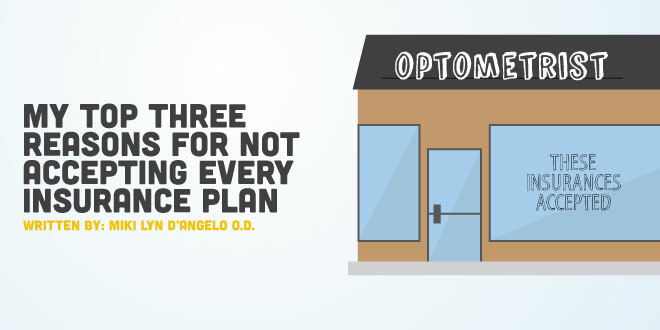 Unfortunately, these patients often don’t come in complaining about their eyes, because they don’t associate how they feel at the end of the day to vision specifically. 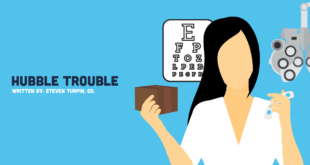 Instead of asking my patients about “eye strain,” I’ll ask, “Do you feel tired after looking at your phone or tablet?” or “Are you light sensitive?” Our patients have symptoms that we as optometrists are uniquely qualified to provide solutions for, but we have to ask the right questions to find them! How do you prescribe Transitions lenses? When I prescribe Transitions lenses, I tell patients about my daily life: I’m indoors all day long, in a dark room with no windows and light blazing from multiple computer screen monitors. My eyes often feel tired and light sensitive, especially when I first step outside to drive home at the end of the day. I wear Transitions lenses because it reduces my light sensitivity to indoor sources of high energy blue light, and outdoor sources as they darken quickly (much faster than I can reach into my purse!) as soon as I leave the office and head to my car. My eyes feel less tired and sensitive, and I’m protecting myself from unnecessary squinting – it’s the best wrinkle cream I’ve ever invested in! Most of my patients resonate strongly with working at a computer all day and feeling light sensitive, so hearing my story makes it so much easier to see how Transitions lenses are of value in their daily life too. Why should eyecare professionals recommend Transitions lenses and how do you demonstrate the importance to patients? 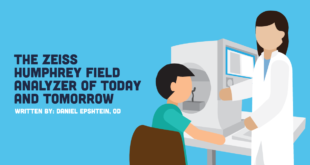 Wearing technology that can help solve digital eye strain in our own eyewear is a must for practitioners to be a true advocate. Multiple times a day I take off my own glasses and show them to patients to demonstrate how they work to relieve my eye strain on the computer. As a healthcare provider, we spend on average 10 minutes per patient recording data on electronic health records. (3) At roughly 2500 patients per year, that’s a staggering amount of screen time, but we probably don’t consider ourselves as having a “computer job.” We’re living and breathing perfect examples of how all jobs and lifestyles have a surprisingly high amount of correlated screen time. I wear Transitions XTRActive lenses in brown to make sure I am getting the protection against harmful blue light that I need. I prefer Transitions lenses because they don’t skew my color perception like many blue light filtering anti-glare coatings, and block 34% of harmful blue light Transitions XTRActive lenses help provide more protection against blue light everywhere patients need it by blocking at least 34% of the harmful blue light indoors and 88% to 95% of harmful blue light outdoors. * When I show patients my glasses in the office, how they are clear inside but still providing me comfort, and then change with me automatically as I step outside into bright light to prevent uncomfortable light sensitivity that’s ubiquitous with digital eye strain, it’s a game changer. All those preconceptions about unattractive computer glasses go out the window: these are fashion forward lenses that help you feel better at the end of the day! What’s not to love? How do you see the new Transitions lenses options playing a role in your practice? With Transitions Signature lenses style colors and Transitions XTRActive style mirrors, we’re finally getting a chance to unlock the full potential of Transitions lenses as a fashion item. Selecting different colors and flash mirrors can completely change the personality and look of a frame. Take a classic tortoise shell frame for example; you could play up the darker tones with a Transitions Signature lenses in brown, or create a punch of color and contrast by selecting the Transitions Signature lenses style colors in emerald or sapphire. Or, you could enhance the metal details on the temples or hinges of the tortoise frame by selecting the Transitions XTRActive style mirrors in gold or silver! The same frame can take on multiple personalities and styles, just by customizing the lens inside. This is a level of personalization in eyewear that we’ve never had a chance to offer to our patients before and I definitely think it is going to be a game changer! 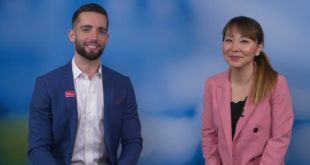 Learn how you can utilize the Ultimate Lens Package to improve patient satisfaction and improve optical sales. Dr. Arango graduated in 2013 with a degree of Doctor of Optometry from Nova Southeastern University. Member of Miami- Dade Optometric Association and Fort Lauderdale Lions Club. Co-founder of Clear Eyes Clear Mind a non-for profit organization that promotes emotional well-being and visual health. A multicultural doctor, Dr. Arango practices in different settings allowing her to increase her scope of practice. 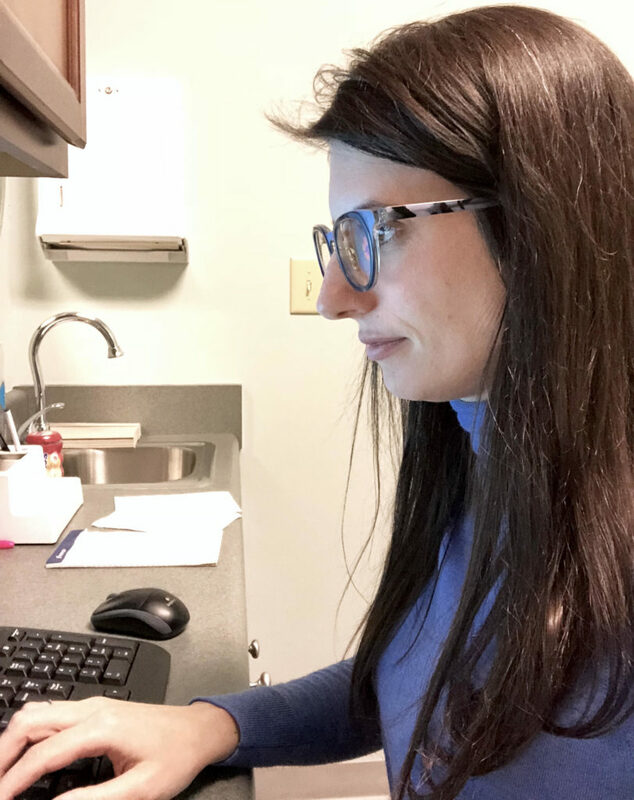 Currently, she is working at La Colonia Medical center, as an associate for a group of local optometrists and at her own practice inside VICLE and serves as a Transitions Change Agent for Transitions Optical. Why are you an advocate of Transitions lenses? My main goal as an eyecare professional is to provide my patients with the best possible vision and ensure they have products which maximize eye health. Transitions lenses help me achieve this goal with their ability to protect wearers from ultraviolet light as well as harmful blue light which is all around us. There are now more Transitions lenses options than ever before with the new Transitions Signature lenses style colors and Transitions XTRActive style mirrors. 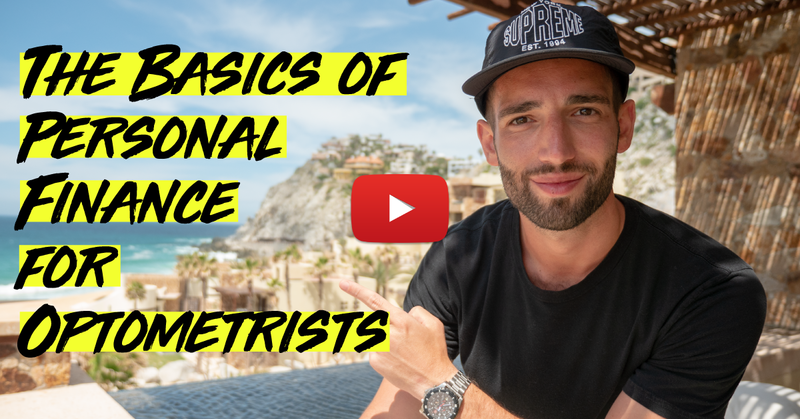 This has given me an even larger arsenal of options to prescribe my patients with lenses that not only contribute towards protecting their eyes, but offering stylish, fashionable glasses and lens options my patients demand! How have your patients responded to your recommendations for Transitions lenses? Education and leading by example really paves the way for acceptance in my practice. Patients really appreciate my concern for offering products that help protect their eyes. 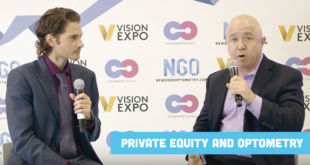 The conversation around the benefits of Transitions lenses in regards to UV protection and reducing exposure to harmful blue light both indoors and out is paramount. The reality is, Transitions lenses have a purpose in so many different lifestyles – the computer user, the athlete, those spending a lot of time outdoors, children, and the list goes on. Glasses not only serve to provide us with vision correction, but they have increasingly become a fashion statement. I lead by example in my practice and wear Transitions XTRActive lenses in all kinds of different frames styles to show patients just how cool they look. When you recommend a product you actually wear, and allow patients to see them and explain to them how they are not only stylish, but also providing ocular health benefits, patients genuinely become interested and excited to get a pair of their own. With Transitions Signature lenses style colors and Transitions XTRActive style mirrors we’ll have an even larger selection to choose from as vibrant colored lenses seem to have become more popular. How do you prescribe Transitions lenses in your practice? In my practice we talk a lot about Transitions lenses for everyday life situations and especially for sports. I am a very a passionate cyclist and see a lot of athletes in my practice. My passion for cycling really allows me to open up conversation about proper sports eyewear protection. We all have busy lives, so many times our training either starts early in the morning or after work, in which there is a constant flux in lighting conditions. A sports frame with Transitions lenses have been my go to option for most of my athlete patients. Now that we have Transitions Signature lenses style colors and Transitions XTRActive style mirrors, I’ll have even a wider range of options for my fellow athletes! These new lens options are what myself and many of my fellow cyclists have been waiting for in the world of cycling for a long time. In cycling, it is extremely common to have uniform color across gear, clothing, helmets, and other equipment. Now, we can include our eyewear and lenses along with it! I easily see these new options generating a lot of excitement in my cycling community and athlete patients. 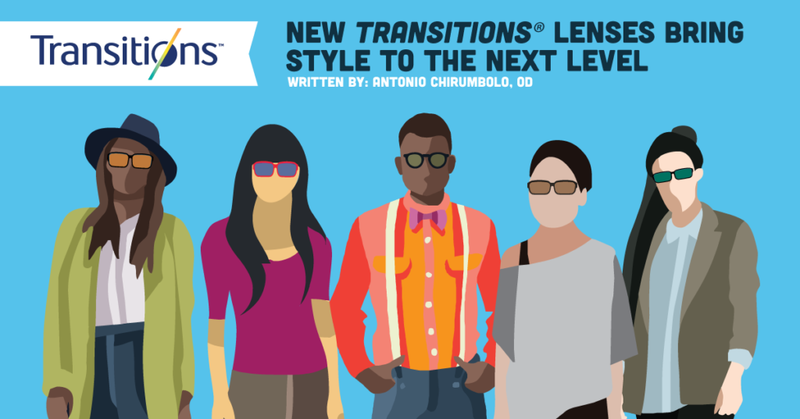 What has Transitions lenses done for your practice? 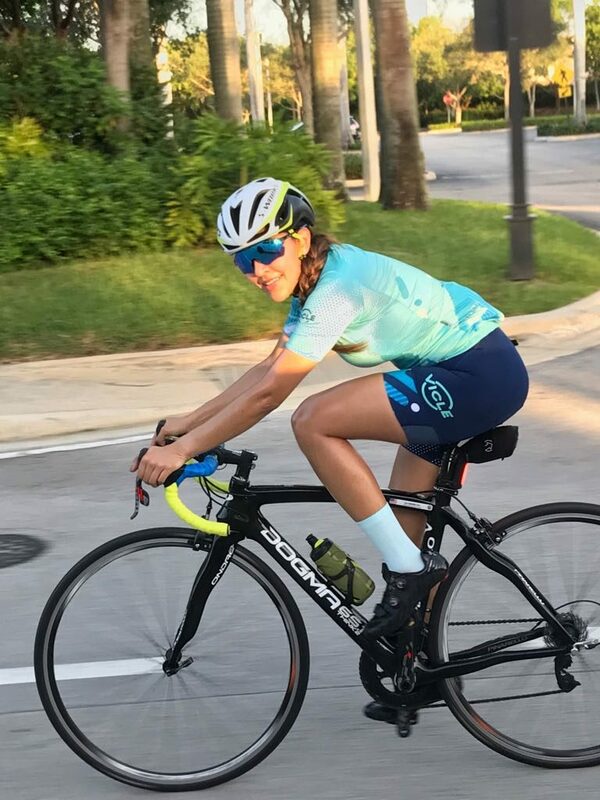 I recommend Transitions lenses to nearly every patient in my practice because I know just how beneficial they can be in so many different situations and for so many different lifestyles and hobbies. Sometimes it can be a challenge to dispel the myth that photochromatic lenses are just for “older” patients. That could not be any further from the truth! By wearing Transitions lenses myself, and with all the new lens options now available, this myth is even easier to dispel. With our current options and new colors and styles, you can show patients just how stylish these lenses are while emphasizing health benefits for the eye. Transitions lenses helped my practice stand out as a practice that emphasizes the latest and greatest in lens technology. It also helped my patients understand just how important light intelligent lenses are, and how important it is to keep the eyes protected. Transitions lenses have also been a great source of practice revenue. I usually bundle Transitions lenses as a package with other eyewear options. I have noticed, the first pair of Transitions lenses might be the most challenging to recommend to a patient, but once they begin wearing these lenses, and enjoy everything they have to offer, they tend to want Transitions lenses for life! Learn more about other blue light filtering lens options like Essential Blue SeriesTM lenses! 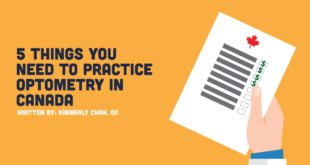 Why do you prescribe Transition lenses in your practice? I prescribe Transitions lenses for numerous reasons, including convenience, versatility, value, and style, to name a few. Transitions lenses are the ultimate package when it comes to ocular protective benefits – by offering both UV and protection against harmful blue light, both indoors and out. While Transitions lenses are beneficial for patients of all ages, I recommend them to younger children and millennials the most. 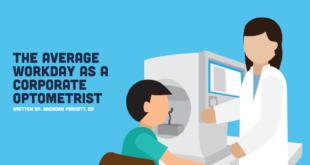 These particular age groups are usually immersed in digital device use, and as we know, children are more susceptible to potential harmful effects of ultra violet light than any other demographic. (4) By emphasizing the importance of ocular protection at a younger age, these patients can benefit the most from a lifetime of UV protection and reduced exposure to harmful blue light. Parents of younger generations can relax knowing that their child’s eyes are protected while at school – whether learning on screens while indoors, or playing outside during recess. Describe your experience as an advocate for Transitions lenses and how it has impacted your practice and patients. Since becoming an advocate for Transitions lenses, I’ve placed more emphasis on preventive eye care. I’ve been able to dispel myths and misconceptions about photochromic lenses, while simultaneously educating patients about the importance of protecting their eyes from UV and harmful blue light. Once educated on the benefits of newer lens technologies, patients are more perceptive when purchasing lens add-ons and are more likely to feel satisfied about their eyewear purchasing decisions. 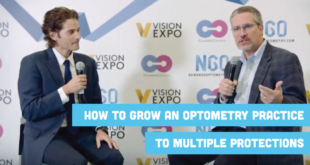 Taking the extra time to explain the benefits of Transitions lenses has helped my practice grow through increased patient awareness and increased revenue. I’ve heard from numerous patients how Transitions lenses positively impacted their eyewear experience and life. From my personal experience, wearing Transitions lenses was a game-changer. I’ve always been sensitive to bright lights – whether outside on a sunny day, inside working on a computer, or looking at my phone at night – and for the longest time, I didn’t think there was anything to do about it. I tried wearing sunglasses, dimming the screen brightness, and using computer software that would change the color temperature of the display, but those methods weren’t enough. I came to the conclusion that I needed something more versatile, portable, and consistent. 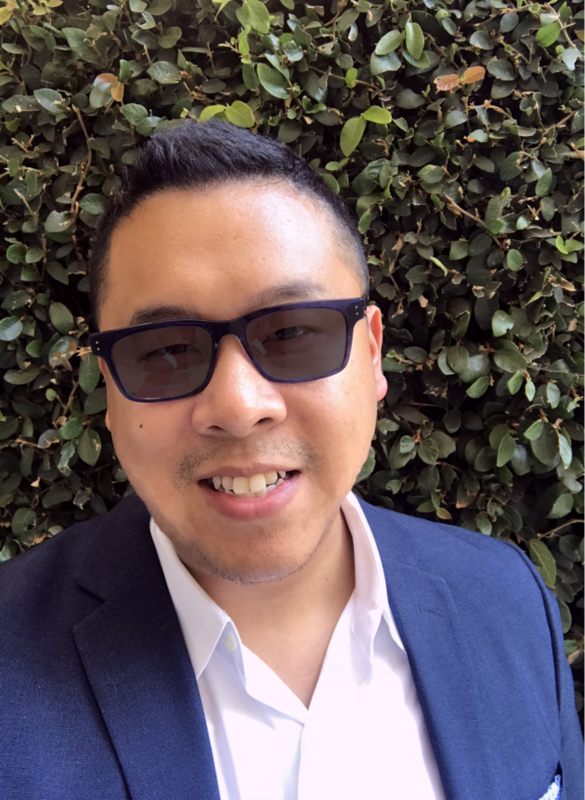 After I received my first pair of Transitions lenses, I found the solution to my light sensitivity: the lenses changed depending on the ambient light in my environment, thereby improving my visual comfort in all lighting situations. I’ve heard similar versions of my story from patients who also suffer from light sensitivity or light-induced migraines, and how Transitions lenses helped to alleviate their visual discomfort. Where do you see Transitions Signature lenses style colors and Transitions XTRActive style mirrors playing a role in your practice? With these new lens options, we have a chance to take personalization and fashion in eyewear to the next level! Just like styling the perfect outfit, matching lenses to the frame (and conversely, matching a frame to a lens!) 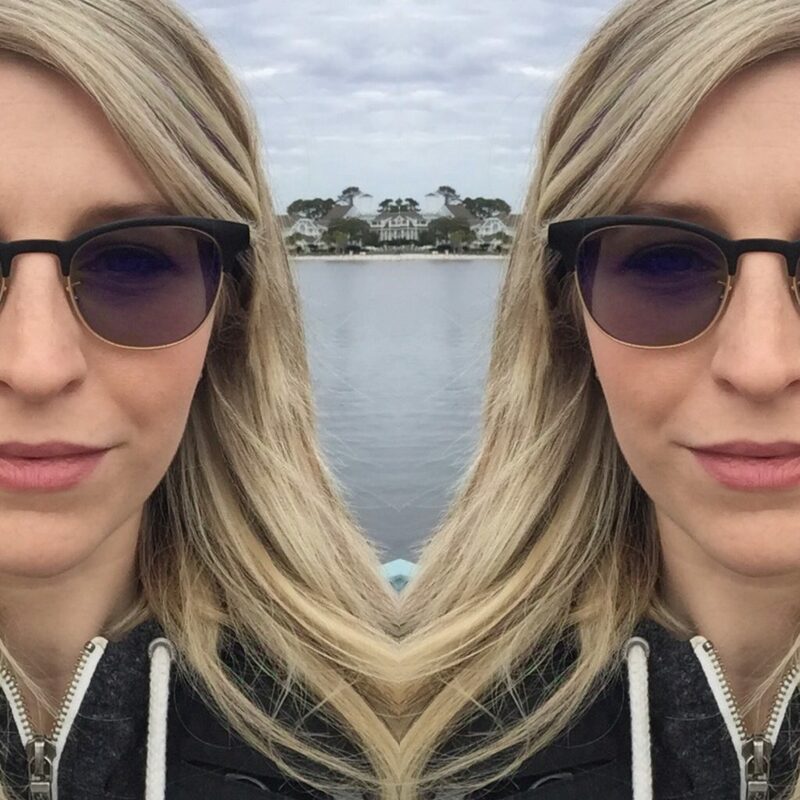 is a fun way to create stylish, personalized eyewear that is as unique as the wearer. Now, with the new expanded color portfolio, featuring classic to bold hues, there are an infinite number of ways to customize your eyewear to match your own personal style. How do you prescribe Transitions lenses? How do you get the conversation started? I generally start the conversation about eyewear immediately after refraction – this is when I discuss the patient’s prescription and provide lens recommendations, including add-ons such as Transitions lenses, anti-reflective coating, blue light protection, UV protection, etc. It is important to educate the patient about why you are prescribing a certain lens or add-on; namely, how it will address their individual visual demands, occupation and lifestyle, as well as the protective benefits to ensure their lifelong eye health. For instance, I recommend Transitions lenses for tech-savvy millennials because it helps to protect against harmful blue light, and reduces glare, eye strain and ocular fatigue while working on digital devices. 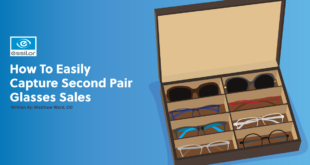 With one-on-one time with a patient, you set the stage for a more in-depth conversation with opticians, making it more likely for your optical team to capture the sale. Then, I lead by example and show patients my Transitions lenses! My current eyewear collection consists of a wide variety of frame styles, colors, and patterns — and now, with the addition of bold lens colors to complement any frame, “eye-cessorizing” my outfits just got a whole lot more fun! I’ve paired the iconic Transitions lenses colors (brown, gray, and graphite green) with neutrals, such as tortoise, black, and gold metal frames. For more of a bold statement, I’ve paired the new Style Colors in sapphire with a blue and white floral print acetate frame, and the new Style Mirrors in pink with a gold metal aviator style. When it comes to eyewear, my philosophy is: “You don’t wear one pair of shoes for everything, so why only wear one pair of glasses?” I’ve always got a pair of Transitions lenses on in the exam room – which is an easy way to keep the conversation going with patients and generate buzz around all the different styles and lens options. 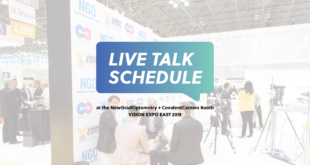 Dr. Will To travels around the country working with students and new graduates addressing some of the more common issues they face today with a candid discussion on the state of optometry and how to take advantage of its constant changes. 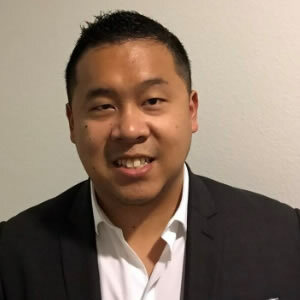 He collaborates with Transitions Optical as a Change Agent and utilizes a design-based approach to optometry, with emphasis on people-centricity both in and outside the exam room. What made you become an advocate of Transitions lenses? That was the extent of my discussion with patients in the past, pretty much as nonchalant as I could be about it. 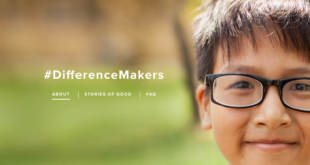 I, like many others, had a pair of glasses with Transitions lenses when I was in grade school, but as I got older, drifted away from them, not aware of why I really needed or had them in the first place. So while it was worth mentioning this option to patients, a quick yes or no was all I cared to hear, and I would move on to recommend other lens options. As my knowledge of Transitions lenses grew, and I began to understand the major benefits of these lenses, I knew that this was not just an upgrade, but an important recommendation that my patients deserved. As an eyecare professional, it is my duty to educate myself on all aspects of eyecare and eyewear so that I can in turn properly educate my patients. Yet, I was allowing my past memories to influence my judgment, and not utilizing current information. Transitions Optical is on its seventh generation of its Transitions Signature lenses, utilizing Chromea7™ technology which features the most reactivity to light, fastest fade back to clear, and helps protect against harmful blue light both indoors and out. Also in their portfolio are other adaptive lenses such as Transitions XTRActive, Transitions Vantage, and now the new Style Colors and Style Mirrors. After thinking about my needs, I decided on getting a new pair of Transitions Signature VII lenses, and what an experience it was! I could immediately feel the difference in light sensitivity and comfort as I went about my day. 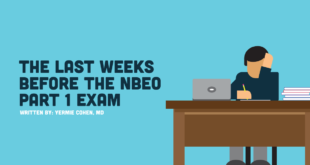 I was almost embarrassed at what a disservice I had been doing for my patients by not properly educating and recommending it more. Now instead of just asking patients if they want Transitions lenses, I discuss and prescribe these lens options with a purpose. How has being an advocate for Transitions lenses impacted your practice and patients. 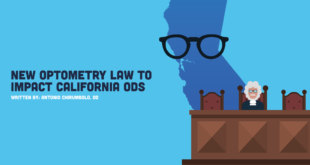 Living in the heart of Silicon Valley means a lot of my patients are tech professionals who not only would benefit from reduced exposure to harmful blue light that Transitions lenses can offer, but these patients are actively seeking lens options that can protect them against harmful blue light. Most of my patients in this industry are already aware of the potential dangers of harmful blue light and are expecting me, their eyecare professional, to make recommendations for them. 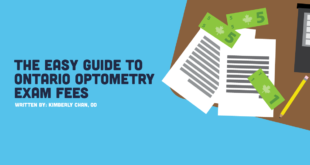 Understanding all of the ocular health benefits Transitions lenses can offer, and communicating and offering this technology to patients who are looking for answers, has really helped me prescribe lenses that my patients want to purchase. They understand the value of purchasing their eyewear from us, which has in turned helped increase practice revenue. Not only that, but the response I get from these patients is incredible. Even more importantly, increasing Transitions lenses usage is one of the quickest ways that you can improve your patient care. Sure, from a financial point of view it helps increase revenue by having additional lens material upgrades available, but it is not just about that. 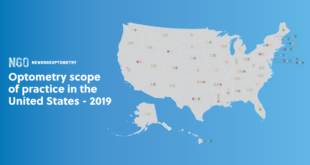 Our top priority as eyecare professionals will always be to protect the health of our patients while enriching their vision and everyday lives. Transitions lenses allow us to do that and is a perfect fit for all practices. 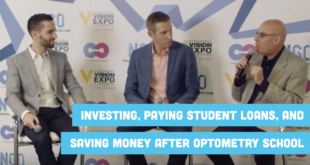 Meeting the eyewear and ocular health needs of these patients, and having them leave the practice satisfied with their experience, is priceless. “Stay Hungry,” Steve Jobs famously said as he addressed the 2005 graduates at Stanford University. Complacency is one of the worst things that can happen to an organization or individual. I’m glad I didn’t allow myself to continue to stay in my comfort zone, and I respect any organization that actively works to do the same. Transitions Optical are the frontrunners in the photochromic market yet they keep innovating what their adaptive lenses can do. With new Transitions Signature lenses style colors featuring vibrant colors including; sapphire, amethyst, amber, and emerald, as well as Transitions XTRActive style mirrors that will be able to adapt to any light, these are exciting times for eyecare professionals and patients alike. 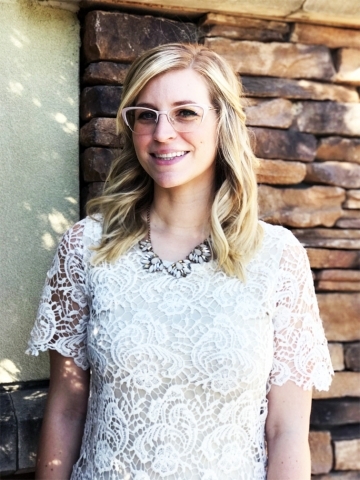 I know my patients will appreciate the new color and style options as they constantly look for the latest and greatest in eyewear, along with the ability to take customization in eyewear to the next level and make eyewear uniquely theirs. I know that I personally can’t wait to experience all that’s yet to come! How do you prescribe Transition lenses? How do you get the conversation started? I share my own experience with Transitions lenses, and use that to drive the discussion. 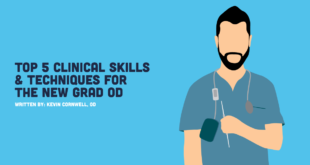 I share short anecdotes and real-life relatable stories of how they benefit me in my day to day tasks, and how they can do the same for my patients. I talk about how I love having a pair of glasses that does not replace my sunglasses, but rather supplements them. Educating my patients on harmful blue light and offering a recommendation is something they appreciate. Getting the conversation started, educating patients on the benefits of Transitions lenses, and then making a recommendation is as easy and simple as it gets. Once I do those things, patients understand the value of Transitions lenses. 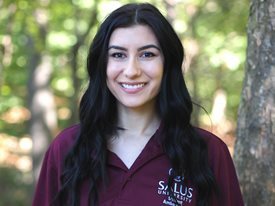 Emilie is a third year student at Salus University. 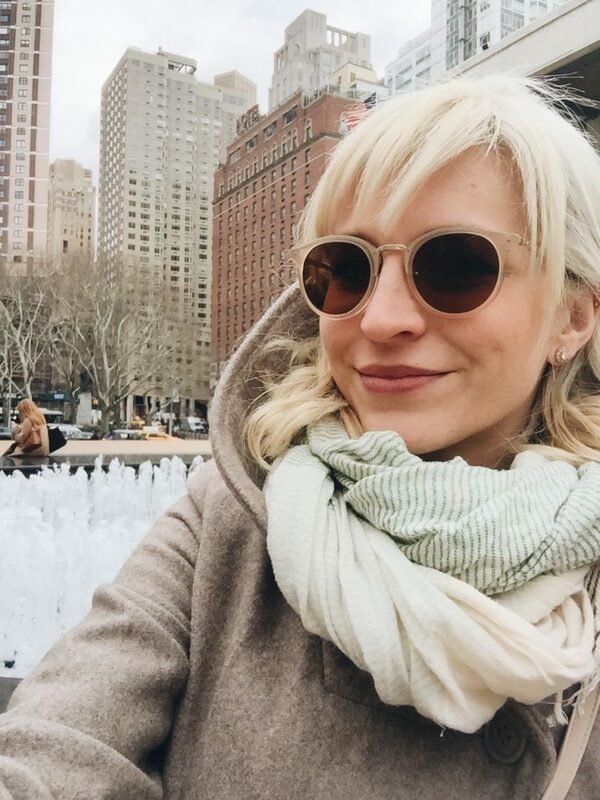 She has a genuine interest in social media and founder of EyeSeitz, one of Instagram’s most popular optometry blogs! She serves as president of her school’s Private Practice Club and is a Transitions Student Ambassador. In the future, hopes to open her own private practice and head start a social media forum that educates the public on proper eye care to ensure ocular health and longevity. What demographic do you think will be most excited about Transitions Signature lenses style colors and Transitions XTRActive style mirrors? Millennials – without a doubt! For us millennials, being unique is everything, and our glasses are no exception! In the past, we ran through our summers with the latest fashion fads, but all the while owning our own unique styles. With the strides Transitions lenses is making in the world of style and customization with the new Transitions Signature lenses style colors and Transitions XTRActive style mirrors, this sort of personalization is too exciting to ignore! We millennials finally have something new to look forward to in the world of eyewear. 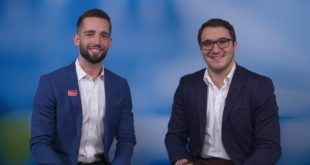 Why do you think these new options by Transitions Optical is important in reaching millennials? Transitions Optical is a company that has been continuously evolving to meet the needs of patients. With their new photochromic technology, lenses can change between light and dark faster than ever before. We already have many options with Transitions Signature VII lenses, Transitions XTRActive lenses, and Transitions Vantage lenses offering something for everyone. And now, we have that added customization component that was missing! With the launching of the new Style Colors and Style Mirrors, Transitions Optical has taken it to the next level when it comes to photochromic customization. Offering four new Style Colors: sapphire, amethyst, amber, and emerald, the potential combinations with your favorite frames are endless. I paired a red metal cat eye frame with the new Style Color lens in amber to create a unique look that I haven’t seen anywhere else. This individualization when it comes to style is something that millennials crave. 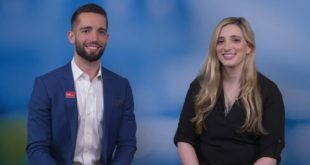 Let’s be honest, millennials have not had the opportunity yet to generate a large amount of disposable income – especially those of us who are still in school! Transitions lenses are not a substitute for sunglasses, but provides protection against harmful blue and ultraviolet light both indoors and outdoors. 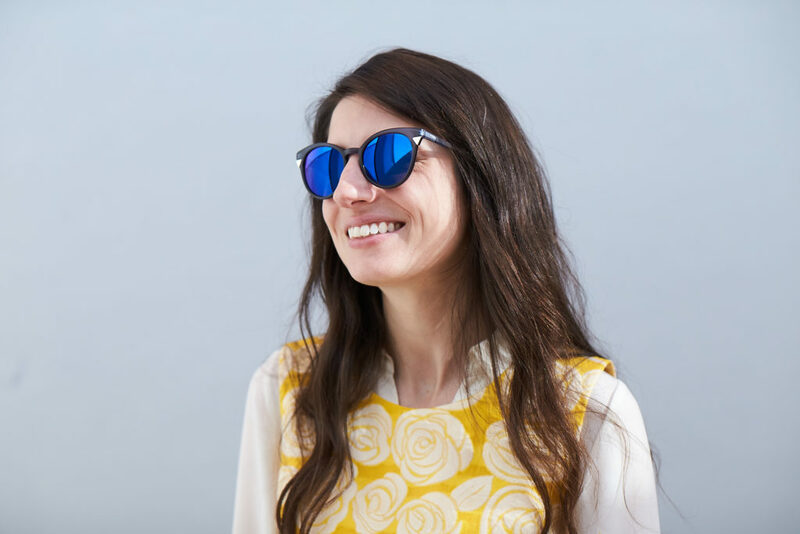 Rather than investing in prescription daily wear and prescription sunwear, one pair of customized Transitions lenses can save you from having to purchase both – yet another major selling point for millennials. For the health-conscious millennial who craves style and customization – Transition lenses have delivered one of the most exciting investments we can make when it comes to eyewear. *Transitions XTRActive lenses block 34% to 36% of harmful blue light indoors excluding CR607 Transitions XTRActive products which block 27% to 31%.  Transitions, Signature, XTRActive and Vantage are registered trademarks and the Transitions logo and Chromea7 are trademarks of Transitions Optical, Inc. used under license by Transitions Optical Limited. © 2018 Transitions Optical Ltd. Photochromic performance is influenced by temperature, UV exposure, and lens material. Transitions® Lenses and Blue Light: TECHNICAL NOTES FOR EYECARE PROFESSIONALS. http://trade.transitions.com/resources/public/10508/Transitions%20Lenses%20and%20Harmful%20Blue%20Light%20Technical%20Notes%20For%20ECPs.pdf . “Millennials Spend One Day Every Week on Their Phones – How Can Brands Deal with the Digital Divide?” Kantar TNS, Connected Life, 2018, www.tnsglobal.com/press-release/millennials-spend-one-day-a-week-on-their-phones. Sigal, Steve. “11 May Ten Minutes per Patient Documenting? Why You Never See an Ophthalmologist out Late at Night.” Sunshine Ophthalmic, 11 May 2017, www.sunoph.com/2016/05/11/ten-minutes-per-patients-documenting-why-you-never-see-an-ophthalmologist-out-late-at-night/. Green, Adèle, Wallingford Sarah, McBride, Penelope. “Childhood exposure to ultraviolet radiation and harmful skin effects: Epidemiological evidence.” Prog Biophys Mol Biol. 2011 Dec; 107(3): 349–355.